This luscious, easy to make holiday pie is simply incredible. Spicy gingersnaps combine with sweet cream for a delicious dessert you will definitely want to save room for! • Place the gingersnap cookies in a food processor and pulse until mixture is fine. • Add melted butter to the crushed cookies and pulse until mixture can hold together if gripped in your fist. • Place cookie crumb mixture into a 8″ pie pan and press down the bottom and up the sides until crust is firm. • Bake in a preheated 350° oven for 8 minutes. • Cool for 30 minutes. • While crust is cooling begin to make the pie filling. • Whip softened cream cheese with electric beater until fluffy; set aside. • In a separate bowl add whipping cream and 2 tablespoons confectioners sugar; whip with electric beaters until a stiff peak forms. • Pour whip cream mixture into whipped cream cheese and add in ¼ cup confectioners sugar, vanilla and nutmeg. • Whip until well mixed, approximately 2 minutes. • Pour pie filling into the pie crust, and spread to fill to corners. • Refrigerate for at least one hour. 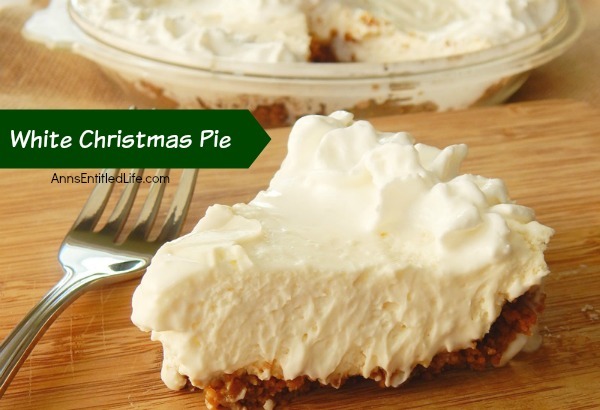 • Garnish with extra whip cream or crushed gingersnaps if desired. 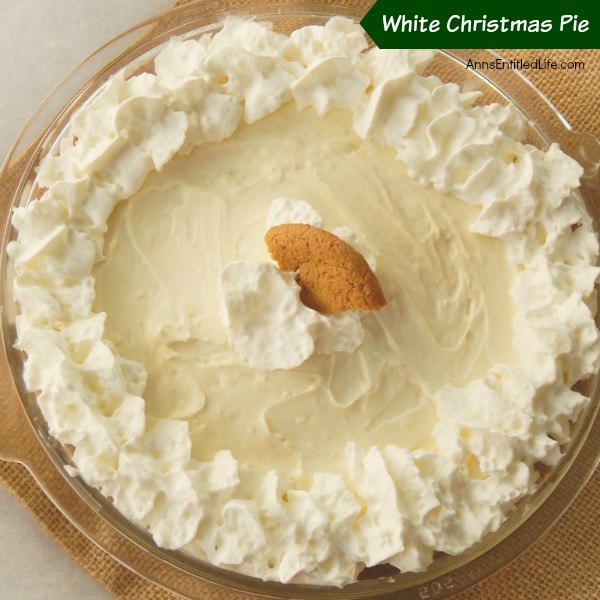 • To print the White Christmas Pie recipe click here. 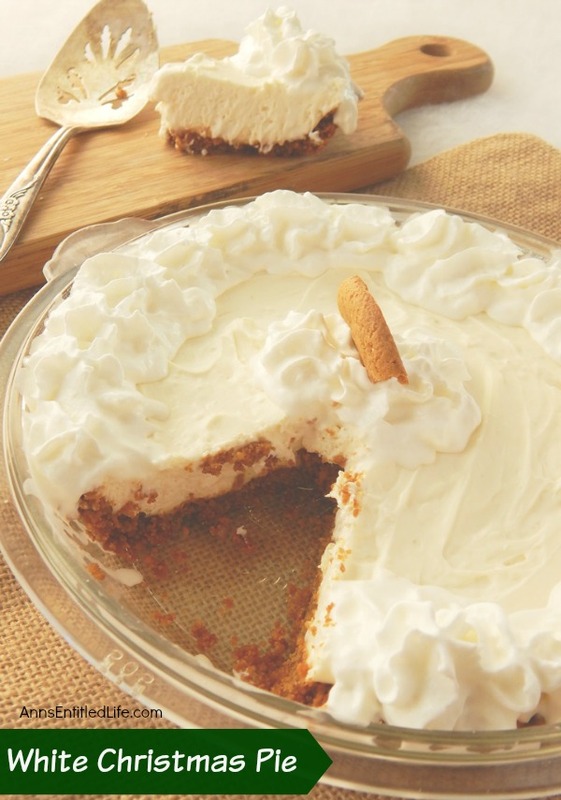 Note: garnish this pie with a row of whipped cream piped along the edge, spread over the entire pie, or sprinkled with crushed gingersnap cookies. You could always do both too! There is no such thing as too much whipped cream. Well I can see why it became #1. At work right now, have to go home and pin this bad baby! !